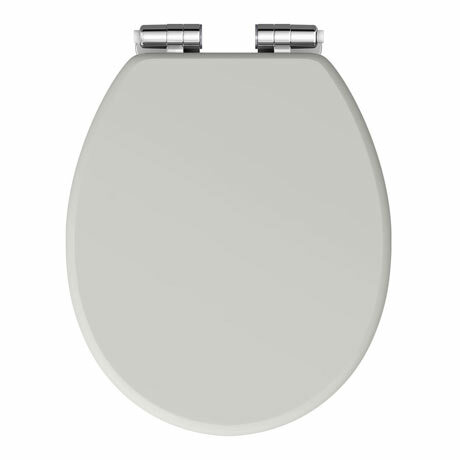 A high-quality traditional round satin grey toilet seat with brushed chrome hinges. The Chatsworth traditional grey toilet seat with it's classic styling has been designed to match the Chatsworth range of bathroom furniture. Features quick release hinges for easy cleaning. Good match for our Whisper Grey suite. Happy with my purchase. Sturdy construction and colour is a good match. Has quick release at the hinges which should help when cleaning. Delivery as indicated. Quite tricky to install but a nice seat once it is fitted.